Flexible scheduling is creating an on-call nightmare for working people. Sometimes it feels like there aren’t enough hours in the day. And for working people who have to juggle family and work, locked into a rough schedule and the stress of poverty—there really aren’t enough. 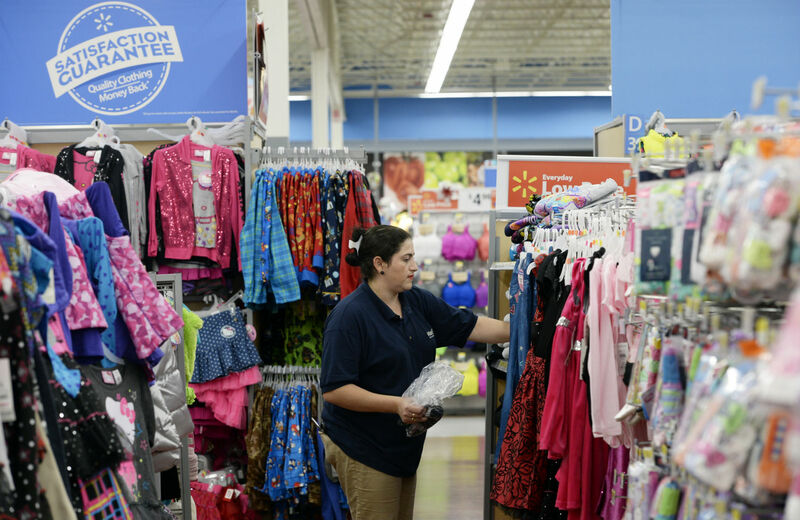 The “new economy” of twenty-four-hour online shopping, global markets and just-in-time inventory churning, have created a demand for “flexible” labor—rapid-fire changes in schedules, shift-swapping, on-call staff. In a new book, Unequal Time, sociologists Dan Clawson and Naomi Gerstel survey how time is distributed across this new economic landscape, and finds that flexibility—and its evil twin, unpredictability—is creating a new social order that brings chaos to the workplace and the home. Take for example a retail sales worker’s typical day: waiting all morning for the boss to call her about her shift time, learning when she’s due at work an hour before her kid gets off school, a frenzied search for a last-minute babysitter, arriving late and getting demerited by the boss, returning home exhausted only to realize she hasn’t seen her child all day and half the day’s earnings are already spent on the nanny. This constant shuffling between impossible choices grows into a bleak routine—what the researchers call “normal unpredictability,” which is becoming the status quo in many industries. The “pervasiveness of routine disruptions,” Clawson and Gerstel write, wreaks “havoc in people’s jobs and families” in historically unprecedented ways. Employers can capitalize on the system by “staffing lean,” hiring fewer workers on the cheap at part-time or just-short-of-full-time hours. Then overtime work practically becomes a de facto mandatory extra shift, even as workers’ schedules remain chaotic. The expanding temp work industry represents an entire labor force founded on this economy of instability and contingent labor: short-term hiring with erratic hours lets employers “outsource” precarity to the most vulnerable and impoverished workers. Though all workers are exposed to scheduling volatility, how a worker copes with the burden of precarious work—a job specifically structured to be unstable—depends on the workplace power structure. Your ability to achieve a decent “work-life balance” may hinge on whether you’re a single parent, how accommodating your boss is about allowing time off for family or school commitments, or whether your workplace is unionized. The poorer you are, the less control you have over these factors on and off the job. At home, workplace instability aggravates the chaos endemic to poor workers’ family lives—manifested in unstable housing, family stress and conflict, and chronic health problems—leaving parents constantly seesawing between workplace misery and domestic crisis. The relationships are mediated by structural inequalities of gender, class and race. Among the workers surveyed, women, especially women of color, were siphoned into the lowest-wage jobs with the least control over schedules. This reflects economic gender and racial gaps across the workforce, as well as the tracking of marginalized groups into segregated sectors—such as poor women disproportionately working in homecare jobs, or immigrants working as day laborers. In the study, “All groups faced routine unpredictability. But the low wage women workers—far more likely than any other group to be women of color—not only faced unpredictability but had far less more control over it,” Gerstel tells The Nation via e-mail. In the specific case study of the hospital, the researchers found that “the nursing assistants—often women of color (black and Latina) not only earned the least, but were also more likely to be single mothers (as is true of the less advantaged more generally in the US today) who then turned to their kin to cope with the difficulties created by unpredictability that came to be normal.” Such patterns of instability tie into community-wide problems of generational poverty and systemic barriers to employment, housing and education. While gender inequality compounds social hardship for many women, it can also disrupt traditional hierarchies. Despite low wages and long hours, nursing assistants sometimes described work as a sort of “escape” from domestic pressures, which might reflect how labor can empower women in unexpected ways—by allowing them some measure of personal autonomy, in spite of the harsh working conditions. The researchers lay out central points that should help workers and organized labor frame demands for a more equitable and family-conscious labor protections: The right to paid sick days and vacation time, and access to overtime pay for both full and part-time workers. Workers also need “Participatory scheduling” so that they can negotiate the timing and distribution of their hours. The recently introduced Schedules That Work legislation could move workplaces in this direction by ensuring workers have at least a process for challenging unfair schedules imposed by employers. Paid vacation time, paid family medical leave, access to daycare and flexibility for workers to control their schedules according to their needs—these are not simply labor costs, but critical provisions that people need to maintain a whole, dignified life—as caregivers, community members and citizens. Occupying all these roles together lets us live as full-time members of society, and a full-time job shouldn’t rob us of that.